Here at Visualase, we understand that having laser eye surgery is a big decision for you, and know that you will have questions about your suitability and the treatment itself. We have over 17 years experience in delivering clinical excellence and we are here to guide you through the process every step of the way. As a private independent clinic, we provide extremely high levels of customer service and personal attention. No wonder over 100% of our patients would recommend us to family and friends. See our latest patient survey here. 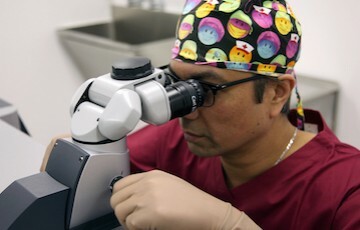 Our doctors have a wealth of experience having performed over 50,000 procedures. Every patient benefits from having their initial consultation with their own treating doctor. This valuable time with your doctor is surprisingly rare and many other clinics do not offer this. It is very reassuring to meet your doctor in advance and have your questions answered. 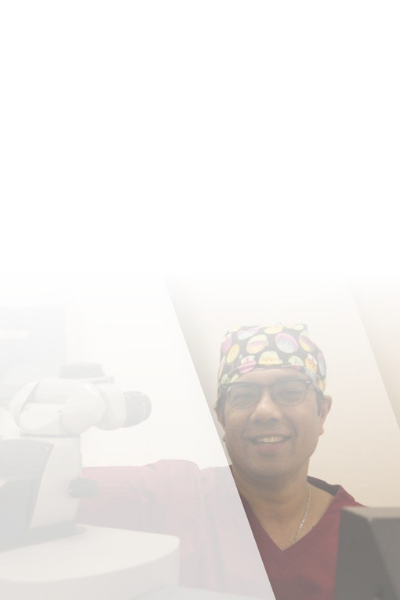 Our unique blend of the latest technology, surgical skill and patient care are second to none. Imagine waking up with clear vision every day. Imagine being able to enjoy your sports, hobbies and holidays without the hassle and inconvenience of glasses and contact lenses. With laser eye treatment from Visualase this can be a reality. So, if you’ve been considering having laser eye correction, now is the time to book your FREE consultation with your doctor and get a brighter outlook with Visualase. Our doctor is an expert in laser eye correction and uses the latest Wavefront treatments delivered by the SCHWIND AMARIS. At your FREE consultation, Mr Manoj Mathai, Ophthalmologist, CertLRS, MBBS, DO, MS, FRCS (Edinburgh) will sit down with you and discuss the best way to correct your vision and answer all your questions. 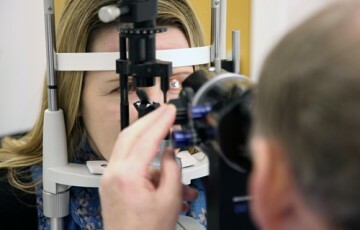 This one-to-one time with your treating doctor, as part of your decision making process, is surprisingly rare and is not offered as standard by many of the other laser eye clinics. When you come for a consultation at Visualase – you talk to your doctor - NOT a salesperson. It is so important and reassuring to you, the patient, that you get this time to meet and talk to your treating doctor. I had undergone consultations at other clinic and had left thinking it was more about money/turnover rather than customer/patient care. The process at Visualase was treated with the respect it deserves. I was neither rushed into making a decision or left wondering about the process ahead.